Christmas Eyebrows? - That's a Thing?! "Christmas Eyebrows" add festive fun to the holiday season. We all know that eyebrows have gained importance in recent years. "Brow bars,"microblading services and an infinite array of cosmetic products specifically for brows can be found in any shopping center these days. Eyebrows are clearly where it's at. 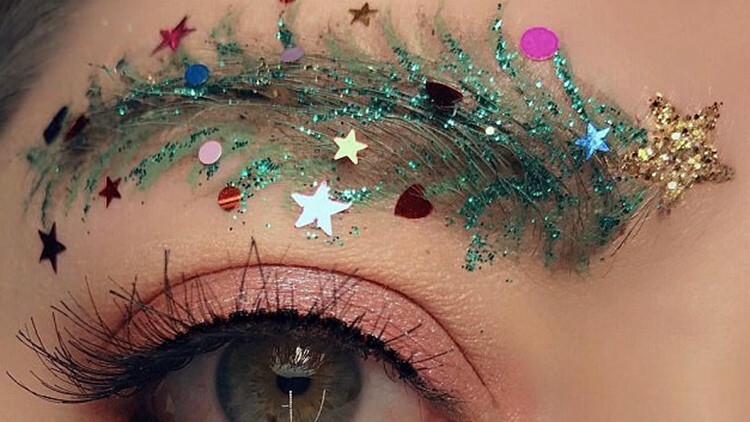 So it's no surprise that some extra-festive beauty bloggers and Instagrammers are taking their holiday cheer to new heights and decking out their eyebrows this season. Christmas lights, Santa hats, mistletoe and candy canes are just a few of the elaborate designs that makeup artists have debuted on their accounts. The trend apparently started in 2017, but has really taken off this season. If you want to be the highlight of your holiday party this year, sporting Christmas Eyebrows is a surefire way to do it. KING 5's Evening celebrates the Northwest. Watch it weeknights at 7:30 or streaming live onKING5.com. Connect with us via Facebook, Twitter, Instagram or Email.